The Robe Pointe that is! 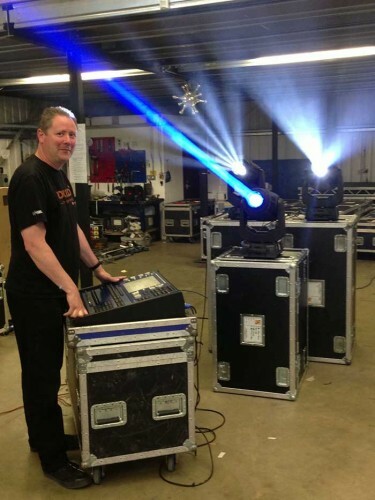 These two leading UK lighting rental companies didn’t mess around when it came to placing their orders for Robe’s new Pointe fixtures, and were among the first two on the UK mainland to receive delivery of this latest, hugely popular multi-purpose moving light. Southampton based GLS took 24 and Bristol based Fineline took 12 units in this initial delivery which was coordinated by Ian W Brown of Robe UK. 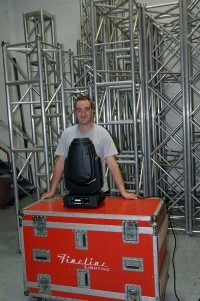 However Fineline’s fixtures also went directly from Robe to GLS – and straight out on their first cross-hire – on European shows for the Flaming Lips, with lighting designed by Eric Cathcart. After that, they finally found their way to Fineline where they directly out again on the Eden Sessions staged at The Eden Project in Cornwall for which Fineline was contracted to supply lighting and rigging for the first year. He adds that Robe is a continually requested brand by LDs, and that the ROBIN range in particular ticks all the right boxes for them as a busy rental company. Fineline also has a stock of Robe LEDWash 600s and ROBIN 600E Spots. 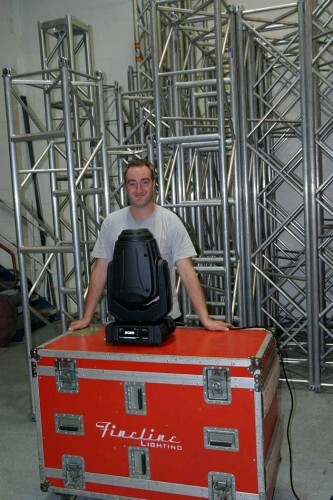 His feelings about The Pointes are echoed by Ian Turner, who states: “We bought them because they are really bright and feature-packed.” GLS now has over 300 Robe moving lights in its hires stock and is the largest lighting rental company on the UK’s South Coast. He appreciates the ‘camera-friendliness’ of The Pointe and particularly of the eight-facet dark centred prism effect. He also likes the fact that they make a very effective wash fixture when zoomed out and the frost filter applied. On The Flaming Lips, 20 Pointes were rigged on a truss flown on Kinesys motors that moved into several different positions above the lead singer’s head throughout the performance. The other 12 were scattered upstage of their Stealth LED screen back wall, firing through its semi-transparency. Both Rob and Ian were keen to be the first in the UK with Pointes and both companies are so impressed that they plan to buy more soon. In picture: Rob Sangwell and Ian Turner.